When Should you Replace your Mercedes Key Battery? 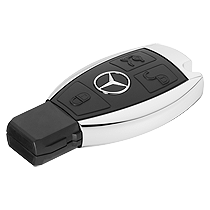 Most Mercedes Benz vehicles are equipped with smart keys that are suitably equipped with a factory supplied battery. This key is necessary to start your vehicle as well as to open the door to gain access to the cabin inside. However, with the passage of time such keys can lose their power and then it would not be easy to use its many features. This is the time when you should think about replacing the Mercedes key battery of your vehicle. This must be done because, even though it is possible to use the manual key hidden inside the main key housing, yet you would need your smart key for accessing a whole range of other functions. Luckily, Mercedes Benz battery price is not all that steep either and you can get it easily replaced from the nearest dealership. While it is certainly possible to be able to go about changing your Mercedes key battery by yourself, using local batteries however, for best results we do recommend that you change your Mercedes key battery though the duly authorized agents and dealers of Mercedes OEM equipment. This is due to the fact that a typical Mercedes Benz smart key battery is a very important component of your vehicle and as such requires a lot of foresight before replacement. Merely doing a DIY (do it yourself) job can seriously damage the delicate circuits of your precious car key and may well force you to have the whole thing replaced. On the other hand, many substandard batteries are not only known to lose their power in a far shorter period of time than an OEM product, but they have also been known to be overpowered and can eventually end up harming your precious key. This is why we recommend that you let our highly experience team handle such problems quite effortlessly and have your vehicle’s smart key fully functional in no time. 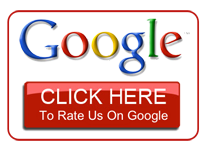 We take pride in asserting the fact that we are well stocked with all kinds of OEM equipment. However, should there be a need to replace any parts on the smart key of your Mercedes Benz vehicle, you can rest assured we at Mercedes Benz Techs can do the same while simultaneously and strictly following all factory specifications. Should you need repairs of your Mercedes vehicle anywhere in Norcross, GA, Doraville, Duluth and the many other areas of Gwinnett County we are a call away.